Tummy tuck recovery can require up to a week of downtime, followed by a gradual reintroduction of strenuous physical activities. If you have a physical job, the time of recovery may take up to four weeks. Full recovery, including the fading of scars, can take from six months up to a year. Dr. Julio Clavijo-Alvarezin Pittsburgh, PA, provides detailed aftercare instructions to help patients recover safely and comfortably. The duration of the recovery period is dependent upon a variety of factors, including your natural capacity to heal. Patients with desk jobs can expect to need 2 to 4 weeks off from work. More time may be necessary, if your job is more physically demanding. Please realize that recovery timelines vary among patients. 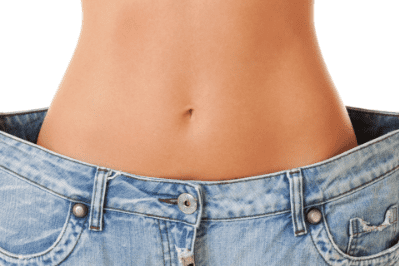 Your tummy tuck is performed as an outpatient procedure in our state-certified facility that has been accredited by the American Association for Accreditation of Ambulatory Surgery Facilities. Your stitches will dissolve by themselves. You will have two (2) drains, that will be in place for 2 to 4 weeks. Dressings will be applied, and compression will be given by a garment. This compression garment should be worn always for the first week. You can remove your garment after this first week only for showering. You will attend a follow-up appointment one week after surgery. During this consultation your bandages will be removed, and we will monitor your incisions. Patient education is important to the success of any surgery, and you can depend on Dr. Clavijo-Alvarez to help keeping you informed at every stage of your recovery. Patients will need to take about 2 weeks off from work and limit any lifting or other strenuous activity for about six weeks following tummy tuck surgery. Minimizing strain on your incisions is crucial. You will need to have someone on hand to assist you, if you have young children at home. Taking your prescribed pain medications as directed can minimize pain and discomfort. We also advise our patients to keep their recovery environment clean and sanitized to limit their risk for infection. This may include changing sheets more regularly and using a fresh towel each time you shower. Resting with your torso elevated during the first week can allow you to minimize swelling and bruising. Smoking is contraindicated before, during and after your surgery. Finally, Alcohol consumption should be avoided during the recovery. You may experience discomfort and pain, as well as swelling, bruising, soreness, and fatigue after your tummy tuck surgery. If you undergo liposuction, expect to be significantly sore. These side effects are completely normal and will eventually subside. However, if you notice increased pain followed by a fever and skin redness, it is important to contact our office immediately. Contact our practice online today or call (412) 638-2391, to learn more about tummy tuck surgery and the recovery that is involved. Patient education is important to the success of any surgery. Dr. Clavijo-Alvarez will help you understand every stage of your abdomen enhancement journey.